Orange County recently hosted the Florida Trade and Logistics Institute at the Orlando International Airport for a presentation on the Orlando Region’s Trade & Logistics Plan Rollout, which ended with a tour of maritime seaport hub Port Canaveral. 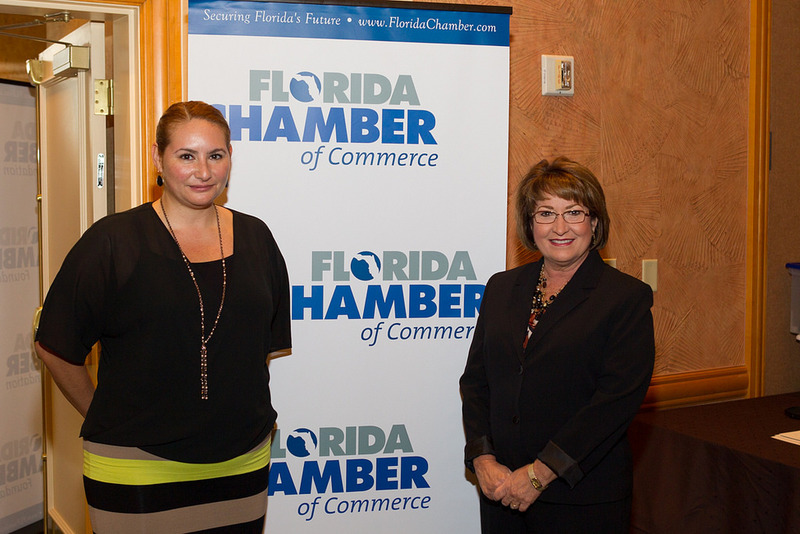 The event showcased the regional efforts to secure Florida’s future as a global hub for trade and achieve the goals identified in the Florida Chamber Foundation’s Trade and Logistics Study. The Study builds on the state’s plan to transform Florida’s economy through trade, logistics and export-oriented manufacturing activities and identifies a potential of 150,000 new trade and logistics jobs that can be created over the next five years. The Orlando Region’s Trade & Logistics Plan Rollout is the implementation phase of the Florida Chamber Foundation’s Trade & Logistics Study 2.0. The study convened public, private and civic partners to examine the state’s progress toward a global vision with particular emphasis on workforce, economic development and business climate strategies. Florida is uniquely positioned in the center of the hemisphere. According to research from the Florida Chamber Foundation, the shift in the nation’s population to the south, the Panama Canal widening and the resurgence of Latin American and Caribbean trade creates an opportunity for Florida to excel as a global logistics hub. The Central Florida region, including Orange, Seminole, Brevard, Lake, Osceola, Volusia and Sumter County has a gross domestic product of $138 billion and is home to nearly 3.5 million people. Orange County’s Economic Development Team, the Central Florida Trade Office, Port Canaveral and the Orlando International Airport coordinated efforts to present the final action plan. Strategies include opportunities for businesses to expand into international markets, infrastructure expansions and capitalizing on Port Canaveral’s new international cargo operations. A collection of photos from the Orlando Region’s Trade & Logistics Plan Rollout are available on Flickr for use by the media.